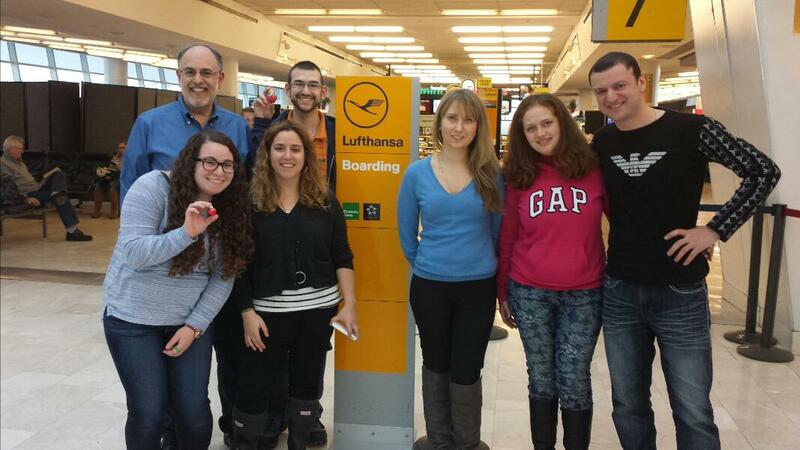 Leaving for Moldova and Ukraine! Each February, the Hornstein second-year cohort visits the Former Soviet Union, to familiarize themselves with the culture and community. 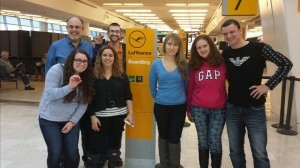 Today, the travelers gathered at JFK airport, eager to begin this year’s trip to Moldova and Ukraine. Together with Prof. Mark Rosen and Program Director Rise Singer, the students will spend the next week exploring the Jewish history and modern culture of Chisinau and Odessa, meeting with young adults and community leaders, and experiencing the culture first-hand. A few weeks ago, during a trip-planning meeting, second-year MBA/MA student Yuliya brought these authentic Ukrainian nesting dolls for the group. Each student took one home, and the entire set was just reunited in anticipation of the upcoming flight! Each day, a different participant will write a update on the day’s activities, which will be posted here and cross-posted on the Hornstein Facebook page. Don’t forget to share it with your friends!